Corporate Name Paramount Theatre; Paramount Theater; Deseret Bank; Walker Bank; Z.C.M.I. 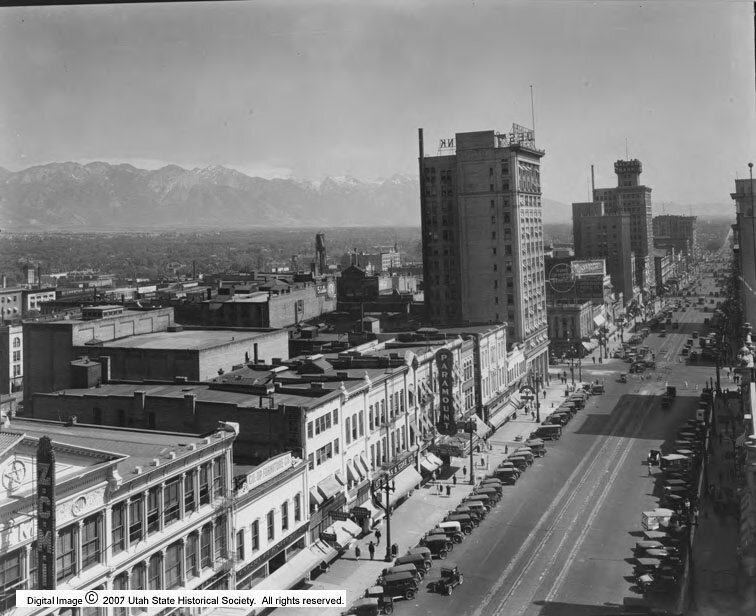 ; ZCMI; Co-Op Furniture Co.; Utah Gas & Coke Co. Description Main Street looking south. Source Donors McNeely, L. V.